Loctite Superlube is a multi purpose synthetic lubricant containing Teflon for added lubricity, giving superior anti-wear performance over conventional greases and oils. Loctite Superlube actually cleans while lubricating leaving behind a corrosion protectant that does not attract dust. 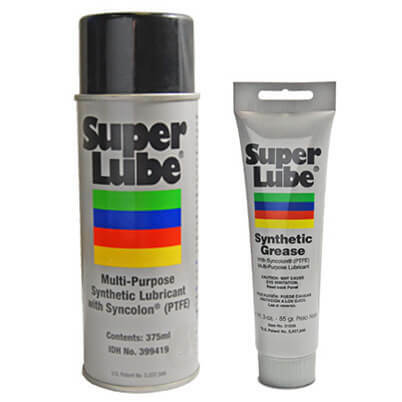 Super Lube is ideal for threads, sail tracks, winches, batteries, engines and much more.